As host to the PGA Tour’s raucous Waste Management Open, golf-rich Scottsdale grabs many headlines among winter golf travelers, and understandably so. It’s one of America’s most potent golf destinations, loaded with top-tier layouts like Troon North, the Boulders, Grayhawk and, yes, TPC Scottsdale itself. But way over on the other side of town, what’s known as Phoenix’s West Valley deserves a look as your next home base for a week of desert fun. And the Wigwam Resort should be the center of that home base. All it takes is a change of direction from Sky Harbor Airport, heading west on I-10 for about 15 miles or so, past University of Phoenix Stadium (the local affectionately call it “Stay-Puf”), and into a mix of established and newer suburbs punctuated by broad, surprising stretches of cotton fields — the same fields that led the Goodyear Tire & Rubber company to expand its Arizona operations and, in 1929, to the Wigwam, the pride of Litchfield Park. 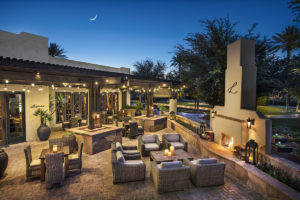 The Wigwam remains one of Arizona’s most popular and venerated resorts, especially after recent modernizing touches to its sprawling array of casitas and suites, homey and charming central lobby-restaurant-bar-events complex, and three excellent golf courses. In fact, you’d be hard-pressed to find a better hub for a winter and early spring golf-centered stay. 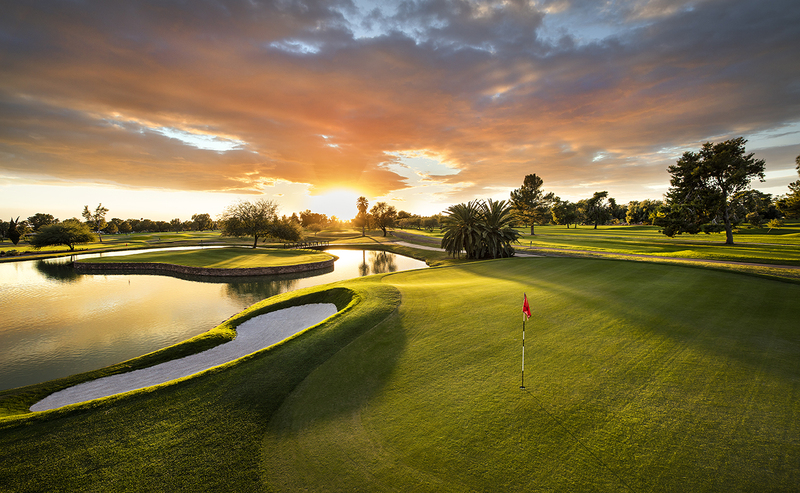 Besides its own Gold, Blue and Red courses, there are several top-notch, residential community-based tracks within a half hour’s drive, including Verrado’s 36 holes to the west and the Troon-run Golf Club of Estrella to the south. Put them all together and you’ve got plenty of tee-to-green variety — old school and modern, surprisingly lush and reassuringly “pure desert,” parkland-flat and starkly hilly. Designed by Robert Trent Jones Sr., Wigwam’s original, championship-caliber Gold Course (opened in 1964) and shorter but just as scenic Blue courses attract the most play, while the Red — laid out by namesake architect Red Lawrence — rounds out the 54-hole bonanza. The Gold hosts some of the nation’s top collegiate golfers each December, for good reason: It can reach more than 7,400 yards, with broad fairways laced between copious bunkers, old-growth palms and hardy desert deciduous trees; push-up greens that repel the slightest off-line approach onto wicked slopes and deep hollows; and water hazards both blatant and sneakily hidden, including a creek that snakes in front of several greens. Holes 3 and 6 rank among the toughest par 3s not only in Arizona but the entire southwest, the former stretching to 272 yards from the tips. 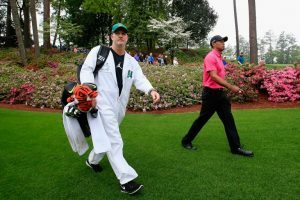 Most par 4s are, as Jones loved to state, “easy bogeys and hard pars.” In all, the Gold is an exquisite challenge of wall-to-wall turf and well-framed danger. The Blue is the Gold’s snappy younger and shorter sibling, topping out at only 6,000 yards but still managing to present a stern test. 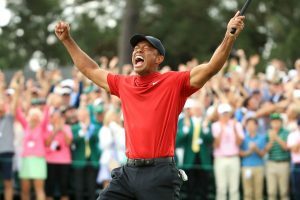 Jones put all the teeth in the greens and made each nine distinctly different, with plenty of water and wily bunkering to demand full attention. The Red falls somewhere in between, playing up to 6,800 yards and just as lush as the other two courses, with a closing stretch that, if you’re too bold, is every bit as brutal as the Gold’s. Wigwam’s clubhouse complex is the perfect pre- and post-round oasis. Red’s Bar & Grill serves a stellar breakfast buffet and lunch and dinner menus that strike all the right apres-golf notes, from hearty apps and burgers to sandwiches, salads, entrees like pulled chicken — all preferably washed down with a local craft brew. Back at the main lodge is Litchfield’s, a West Valley stalwart named after Goodyear’s founder, with a farm-to-table menu created by inventive chef Jason Paterno — who, with advance notice, will preside over a family-style feast, conjuring Southwest-spiced delicacies from a pecan-fired grill. Like Red’s, Litchfield’s offers indoor and outdoor seating, as does the adjacent, popular Wigwam Bar — the resort’s central, European-style meeting place for its expansive terrace offering several fire pits and live music under the stars. When it’s finally time to retire, the Wigwam’s rooms await with a warm mix of casual accessibility and just the right notes of Old Arizona luxury in what’s dubbed the “Territorial Adobe” style. This isn’t an antiseptic hotel experience, but an invitation to bring the great desert outdoors with you indoors; open the windows to a vista of well-tended gardens with trees and turf beyond — and the golf courses, too, if you splurge for a Fairway Casita. Want easy access to the Red Door Spa? Opt for an Adobe Terrace Suite. Want something more secluded? 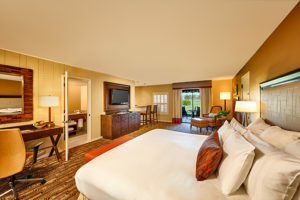 The 90 rooms and suites in the Oasis Collection, with its own courtyard, pool, event lawn and cabana bar, might be the ticket. While today’s Wigwam is a far cry from the original 1918 “Organization House” that put up Goodyear executives while they checked in on the company’s cotton farm operations, a thread of warm welcome and rarefied luxury runs through the resort’s foundation, from then to now, even as the West Valley has exploded around it over the past century. 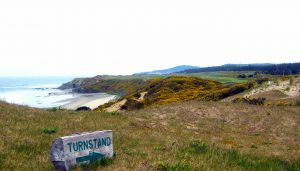 If you haven’t yet ventured to this not-so-distant hideway in one of the West’s great golf locales, now is the time.